CHILDREN, staff and families cooked up a storm for the official opening of Minerva Primary Academy’s new building. Pupils welcomed their special guest, the television personality Prue Leith, in style, with songs from the Key Stage 2 choir and African drumming by Year 1. Year 5 children presented Prue with some jewellery they designed after noticing the trademark jumbo beads she wears as a judge on Channel 4's Great British Bake Off. “You can never have enough necklaces,” she responded. The pupils also gave her a book of artwork inspired by her colourful career, which has included writing 12 cookery books, seven novels and running restaurants and other businesses. “This is the biggest ego trip I have ever had,” she joked, before unveiling a commemorative plaque. Prue, who appropriately was wearing blue, the school's new colour told the children about the importance of learning to eat and learning to cook, not only cupcakes but meals too, and she said she was impressed with their school and the support it received from its community. 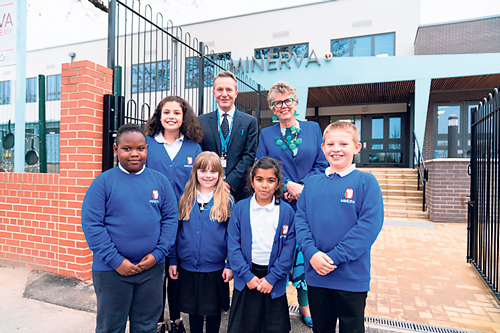 Pete Hallam, Minerva's principal, said it had been an emotional time, saying goodbye to the old Hillfields schools that had served the area for nearly 100 years, while welcoming the new 21st century facilities. 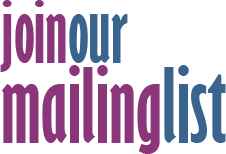 “I am absolutely delighted that we have a school that the children and the community deserve,” he told opening event, whose audience included leaders of the Cabot Learning Federation, which runs the school. Over the next year, the grounds will be developed to provide a stimulating environment including a construction area, outdoor cooking space, an amphitheatre for performances, sand and water play. The new build boasts amazing spaces for pupils to thrive and develop. These include a dance studio, project break out spaces and an enrichment room with a fully functioning kitchen for cookery and baking. Award-winning artist Toby Paterson has worked with the school and the contractors to create elements that have transformed the building. Among them are fabulous huge stairwell paintings, specially designed screens, facade design and Minerva owl sculptures.